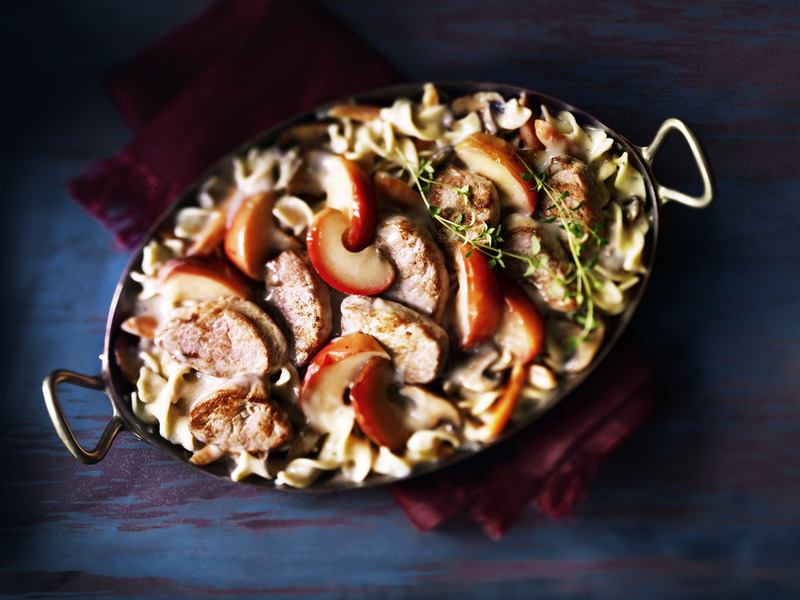 A delicious pork casserole seasoned with the flavours of Fall including cinnamon and apples. 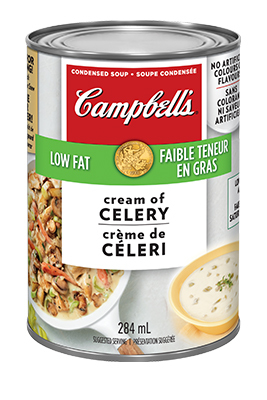 Cook noodles by package directions, omitting salt and oil and adding carrots for last 2 minutes of cook time. Drain. Heat 1 tbsp (15 mL) oil at medium-high in skillet. Cook pork until browned and cooked through – about 4 minutes per side; remove pork. Reduce heat to medium. Add mushrooms and onion and cook about 5 minutes in remaining oil. Mix soup, juice, thyme, cinnamon and pepper in shallow 2 qt (2L) baking dish. Stir in noodle and mushroom mixtures. Layer in pork and apples. Bake at 350°F (180°C) for 30 minutes. For extra flavour, add 1/4cup (60 mL) raisins along with the cinnamon.